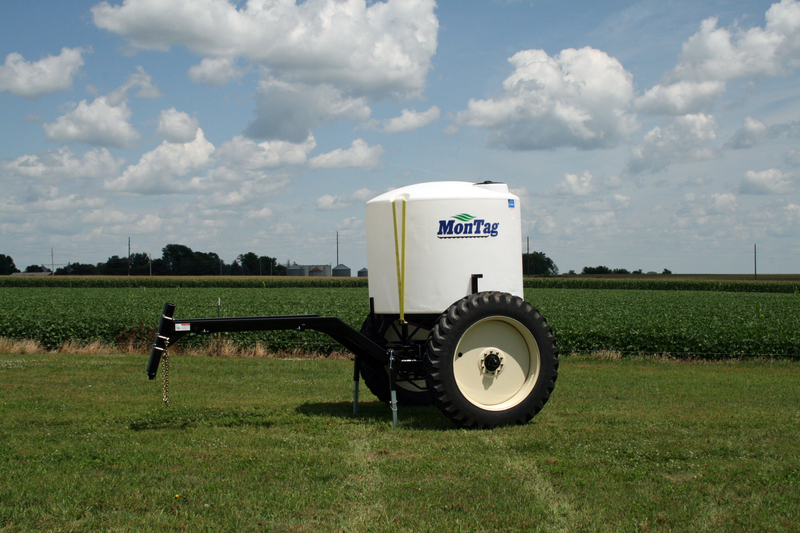 Liquid Fertilizer System – Montag Manufacturing, Inc. 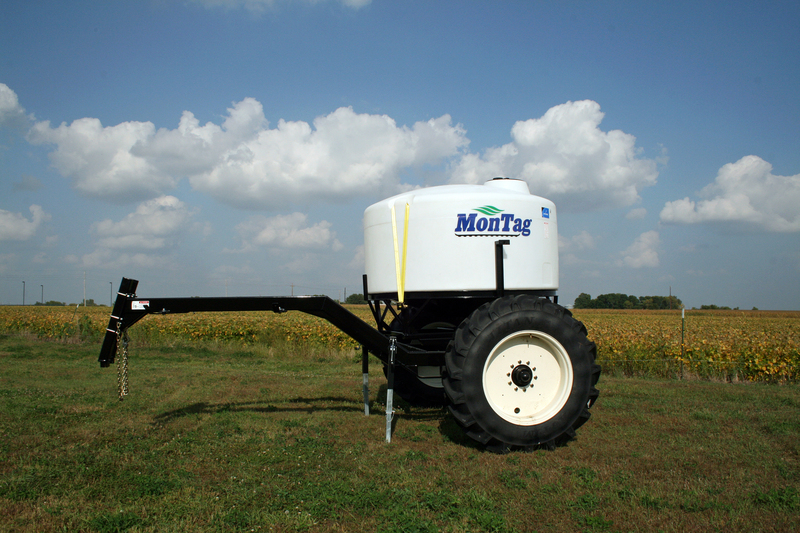 The Montag liquid fertilizer system is designed for banding applications where the use of liquid fertilizer is desired. It consists of the Montag Auto-Steer cart with the proper-sized liquid tank. The use of the Auto-Steer cart in the system allows for ease of use as well as correct placement while staying off of your rows. Allows for banding in both planter and tillage applications as well as side dressing. Each of the tank sizes come with 15-degree cone bottoms for complete emptying. The liquid carts come with standard 2” bung holes so that you can attach your liquid pump and hoses. The liquid tank framing is standard for the Montag Auto-Steer cart and allows for quick removal with forklift arms. This permits the same Auto-Steer cart to be used for another application like dry fertilizer. Since the liquid tank follows behind on an Auto-Steer cart that stays off of your rows, the liquid tank can replace saddle tanks and remove some of the weight and corrosive chemicals from your tractor or implement. Rugged heavy-duty frames which have been chemically treated and painted with chemical-resistant urethane primer and paint.